We aren't unaccustomed to brutal winter weather. I'd like to think New Englanders can actually be rather resistent to the constant flux of weather patterns we experience. 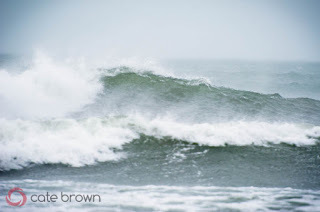 But at the end of October we met Hurricane Sandy face to face, and many people we surprisingly unprepared. (I still can't believe just a Category 1 could cause so much damage. I guess size does matter!) Then only a week or so later we had our first Nor'easter of the season, dumping about a foot of snow in some places and wind gusts over 60 mph! I went over to Newport to see some of the surfers who decided to make the best of such frosty weather. 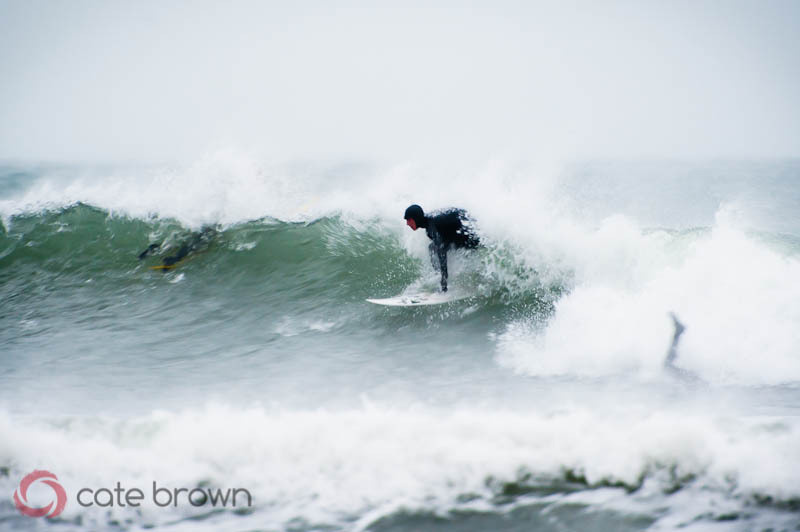 Hurricane Sandy had brought some decent swell our way, but hurricane force winds ruined most of it, although that didn't stop everyone from trying! When the Nor'easter blew in, the offshore breeze in Newport created much cleaner waves. I decided to snap shots over at Second Beach where the surf was about 4-5 feet, with occasional sets around 6 feet. It was midday and I had my ISO cranked up to about 1200 and I still wasn't getting crisp shots every time! I had my teleconverter on, aperture around f/5.6, and I was struggling to keep my shutter speed around 200+. Perhaps the rock I was hiding behind wasn't blocking the arctic breezes well enough, or the cold numbness from the freezing pelting rain had something to do with it. I sat outside near half an hour before the cold and wind became too much and I sought refuge in the car. Still, despite a good number of my shots being fuzzy and unusable, I was still very pleased with the images you see below! I have to say this one above is my favorite of the day! 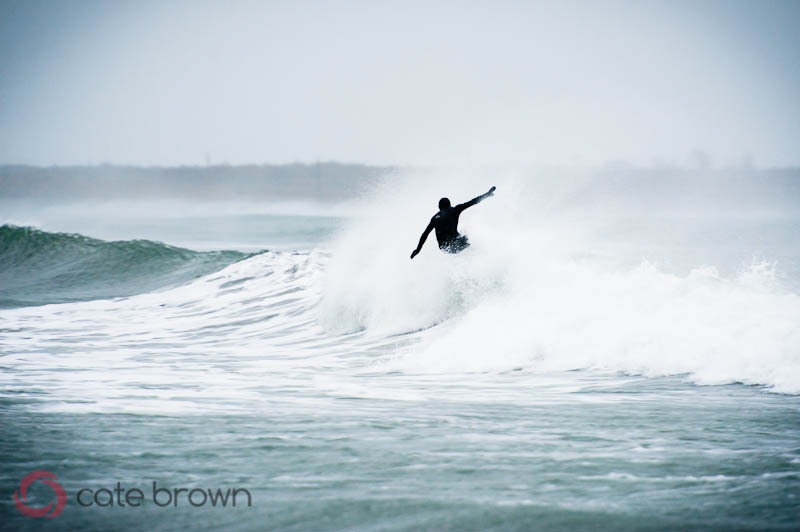 The water and spray was somewhat blurred due to my slower shutter speed, but the surfer is acceptably sharp. The muted gray and cool blue/green color tones make everything look just as chilly as it felt. Not to mention the two submerged guys duck diving the wave (the ghost leg is my favorite element). 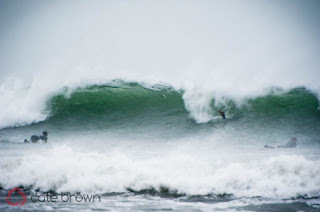 Images can be seen under Surf & Sport or Recent Work over on my website!